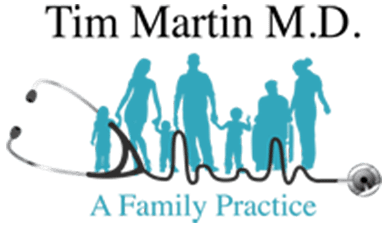 Payment, Insurance, and Billing - Abilene, TX: Tim Martin M.D. Cash pay: We accept cash. If you will be paying for your visit and not filing with any insurance company, we require a $50 copay to be accepted when you check in. Any balance from your visit, or our work on your behalf will be your responsibility to pay. Please contact us at 325-261-9167 or ofcmgr2110@gmail.com with any questions regarding your bill or your ability to pay. We will honor almost any effort on your behalf to make payments. Medicare: We accept Medicare and most Medicare supplements. At your appointment, ask Dr Martin about Chronic Care Management. People with Medicare coverage, who have 2 or more chronic illnesses, qualify for a program covered and paid for by Medicare called Chronic Care Management. This program is a valuable benefit to both the patient and the medical team caring for him or her. Dr Martin can give you more details. Medicaid: We only accept Medicaid on a very limited basis. However, I can offer most of my services for a reasonable cash price. Please ask us how we can help you and make it affordable for you. Call 325-455-0426 or email drmartinmessages@gmail.com. There are some services we provide that we do not file to insurance. These may include office visits, procedures, injections or other medically related services or products. The reason we do not file is because there is too much extra effort to justify some medical work to an insurance company, or the insurance does not cover the service or product. If we are not filing some portion of your care with insurance, we will inform you and let you decide how you pay for your care. Regarding collections: We will send a bill to the address on record for 4 months; at that point, the account will be turned over to Transworld Systems. Transworld is a leader in the field of medical collections. While we never want an account to end up with them, sometimes it is necessary. Transworld’s approach is gentle and centers predominately on reminders and many efforts to notify you of the debt and give you an opportunity to arrange payment. We have no interest in hurting someone’s credit but want to work toward maintaining a healthy physician/patient relationship. Thank you for your understanding and please feel free to ask any questions you have regarding this process. Call 325-261-9167 or email ofcmgr2110@gmail.com. To Apply for Financing: First Financial Bankshares offers great terms for financing medical procedures. Click the button below in order to apply. You will open a new page. Fill out the application and you will receive information regarding the process via email.